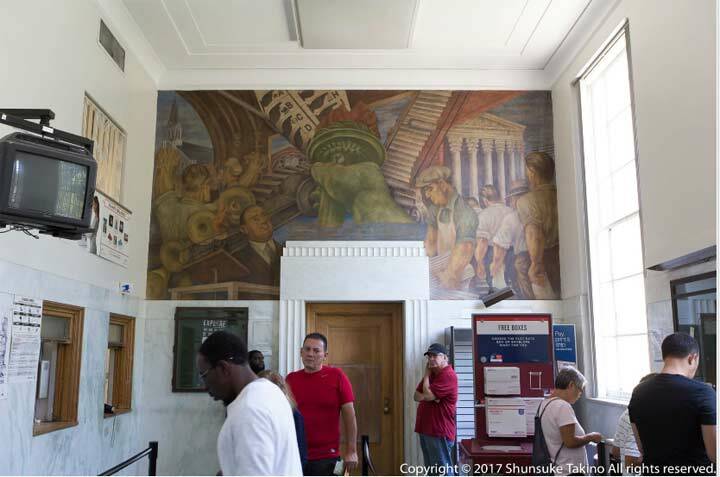 FNY’s Saturday, June 18th, 2016 tour was a repeat of the 2015 Woodhaven tour with a slightly shortened and revised tour route, beginning on Forest Parkway where we took in several classic residences, and also Woodhaven’s landmarked post office and library. 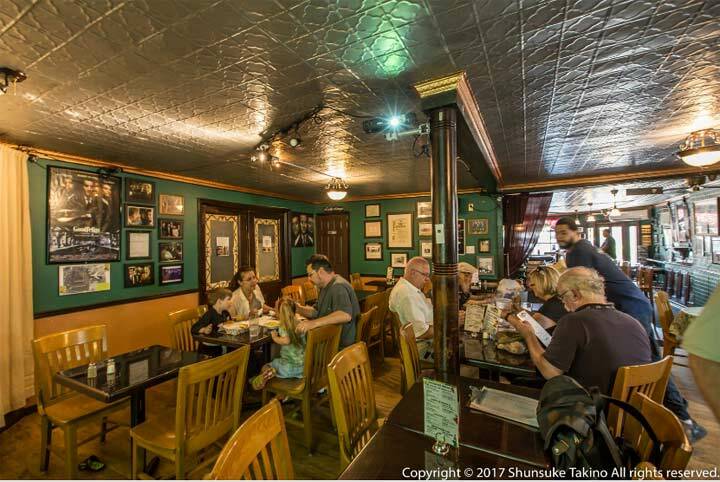 After a trip to Forest Park to take in the Seuffert Bandshell and carousel, we reversed course and headed to historic Neir’s Tavern (which its management and many sources claim has been there, as a tavern owned by one keeper after another, since 1829). 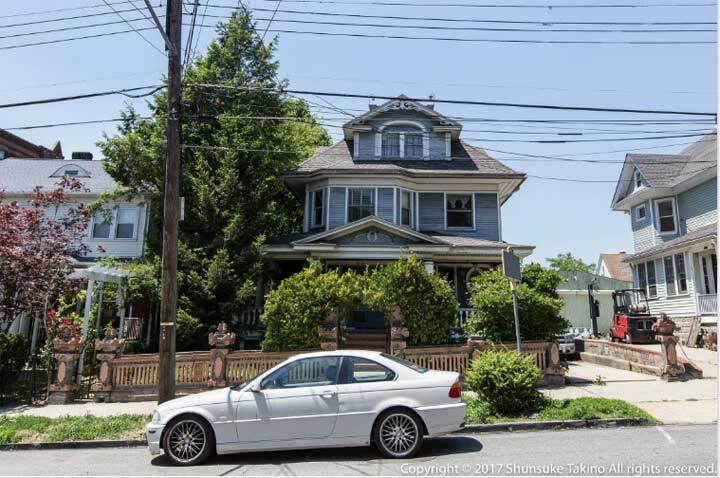 While her tree grew in Brooklyn, Betty Smith, neé Elisabeth Wehner (1896-1972), largely wrote the novel, which takes place in nearby Cypress Hills, Brooklyn, in this beautiful house on Forest Parkway near Jamaica Avenue. She herself lived in Williamsburg and attended Girls’ High School, where her childhood experiences influenced her book. Every year, it seems, sees the closing of more of New York’s classic carousels, but Forest Park’s, just off Woodhaven Boulevard south of Myrtle, is still delighting kids big and small as it has since it was moved here from Dracut, Massachusetts, in 1971. 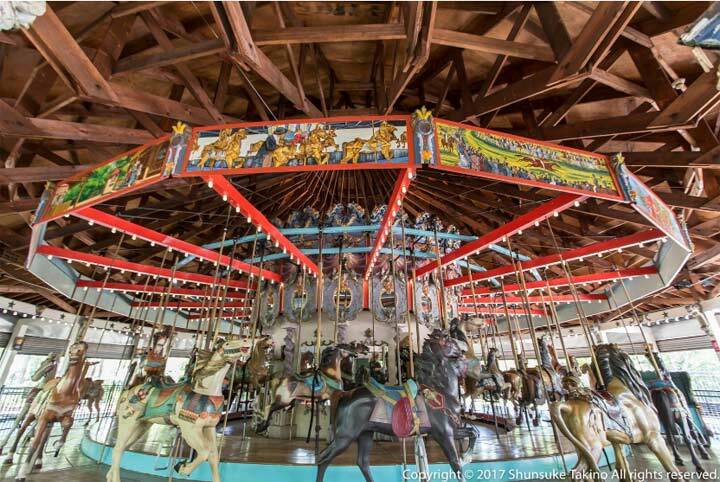 This Daniel Muller carousel, built in 1903 and containing 54 wood horses and other animals, is one of just two remaining in the country. 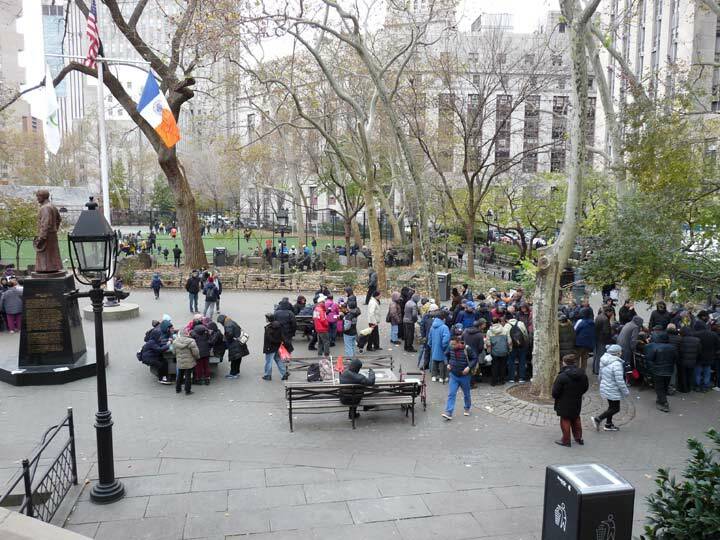 It replaced an earlier carousel that burnt down in 1966. The carousel contains 49 horses, a lion, a tiger, a deer, and two chariots arranged in three concentric circles. The carousel also contains an original carousel band organ. It’s a buck a ride for all ages. At the corner of 78th Street and 88th Avenue (formerly Snedeker, Snediker, or Sneideicker Avenue, depending on what map you consult, and 3rd Avenue, stands one of New York City’s oldest taverns, Neir’s, opened in 1855 (or 1829, depending on what account you read; the tavern itself says 1829) as The Pump Room, or Old Blue Pump House, to serve Union Course patrons. In its early days the tavern stood across the road from the Union Course Racetrack. The Neir’s name comes from Louis Neir, who purchased the place in 1898, adding a bowling alley, ballroom, and rooms for rent upstairs. Mae west was a patron and entertainer here, and films such as Goodfellas have been filmed here. It is currently owned by firefighter Loycent Gordon.